Girls are going for a party tonight and they want to make it special. 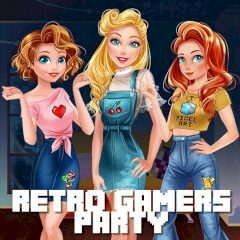 Dress up in retro style and have fun with the girls! Gamers are too cool when they play favorite games. Are you are al fan of some game? Just dress up and show how beautiful you are!